Kido's from around the San Luis Valley in Conejos County Colorado are, FOR THE FIRST TIME EVER, white water rafting down the amazing Browns Canyon National Monument!!!! Ana Lee Vargas from Conejos Clean Water, a local non-profit community organization in Conejos County CO. said, "Latino Conservation Week, for us, is about creating new opportunities for our communities youth and we are so excited to be able to make this happen this year. Let's GO Rafting!!!" 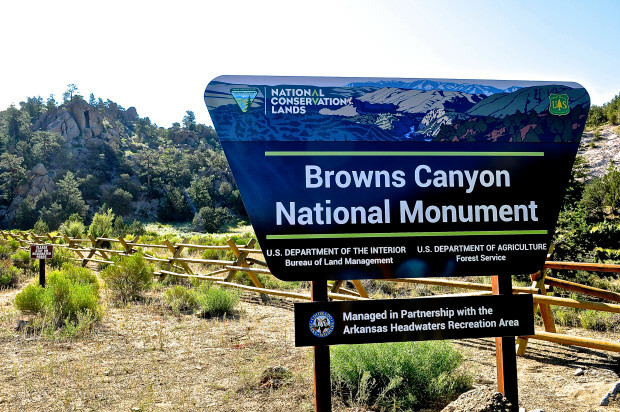 Browns Canyon includes 11,836 acres of the San Isabel National Forest and 9,750 acres of Bureau of Land Management land. The area is unique, towering over the Arkansas River, itself a beacon to white water rafters and anglers. The granite walls of the canyon stand like a series of a natural cathedral spires that change hues as the light of day wanes. The natural resources star on the monument is the Arkansas River, which provides recreational activity on the river and along the shoreline. The monument area is a recreationist’s dream with plenty of opportunity to raft, kayak, bike, horseback ride, hike, nature watch, photography and stargazing. The river is named a gold medal river for its world-class wild trout fishing. The Arkansas has long been considered the most popular whitewater rafting destination in America and features rapids with names like Canyon Doors, Zoom Flume and Seidel’s Suckhole. Questions: For Questions about this event, please contact Ana Lee with Conejos Clean Water at 719-580-0740 or annalee@cccwater.org.